The two periods in which biplane fighters saw combat in significant numbers oddly coincided with the beginning and very end of the fighting biplane‘s development with nearly twenty years of comparative peace in between. Thus any assessment of the ‘greatest’ biplane fighters naturally looks at these bookends of the biplane story. Many fine aircraft appeared, flew for a few years in the squadrons, and were quietly withdrawn without ever firing a shot in anger. This cursory, and totally arbitrary, list of the greatest looks only at those ‘lucky’ enough to have seen operational combat service and naturally follows the odd pattern of the biplane‘s most significant periods of service, 1914-18 and 1936-41, before the monoplane showed two fingers to two wings for good. Please also grant us the cognitive dissonance required to use terms like ‘scorer’, we do not intend to celebrate war or to trivialise the lives lost in these dogfights. Top scorer: Patrick Langan-Byrne, 10 kills on type, 10 total. An aeroplane nicknamed ‘the Spinning Incinerator’ doesn’t particularly imply Greatness but in 1915 the word ‘incinerator’ was virtually synonymous with the word ‘aircraft’ and the DH.2 was only prone to spinning when compared with the rock solid stability of the BE series that the British airmen were used to. The DH.2 was incredibly significant as the first aircraft designed from the outset to be a single-seat fighter thus beginning 99 years of unbroken development and leading to the likes of the F-22 (a cantilever monoplane, with twin pusher turbines), which, one can’t help but suspect, would be much more interesting if it were nicknamed the Spinning Incinerator. The Fokker Eindecker, which beat the DH.2 into service, was little more than a lash-up, a machine gun bolted to an existing (inadequate) airframe and liable to fall apart if the gun was fired. The DH.2 quickly gained ascendancy over the German monoplane and remained in frontline service into 1917, a remarkable career given its pioneering quality. 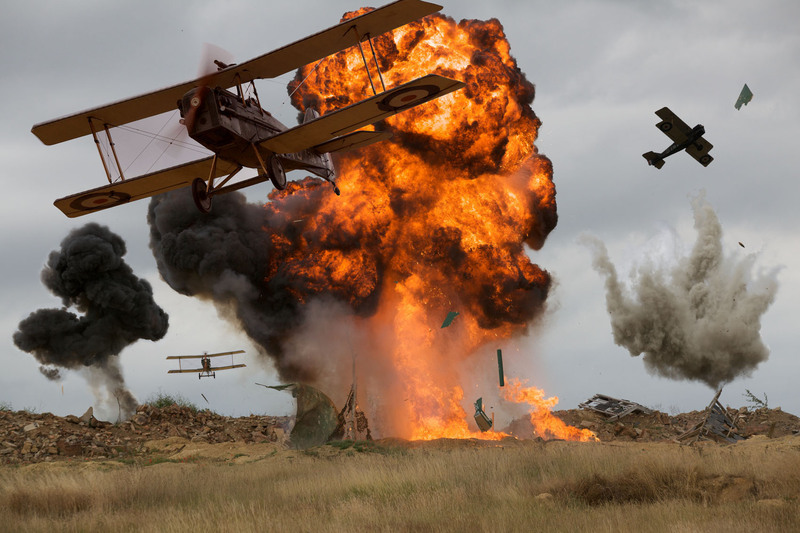 The opening shots in the long war between monoplane and biplane had been fired and the biplane was the initial victor. Top scorer: Philip Fullard, 40 kills on type, 40 total. In the Second World War (and ever since) we became used to the fact that the US supplied aircraft to virtually everyone. In the First World War France fulfilled this function and the tiny Nieuport Scout was the first truly mass-produced fighter, at least 7000 were built in France, licence production of thousands more took place in Britain and Italy (the exact total of how many were built is now lost due to the hilariously vague standards of contemporary record-keeping) and it was operated by 17 nations during the war. This compared to the paltry totals of 453 DH.2s and 416 Fokker Eindeckers, neither of which were exported. 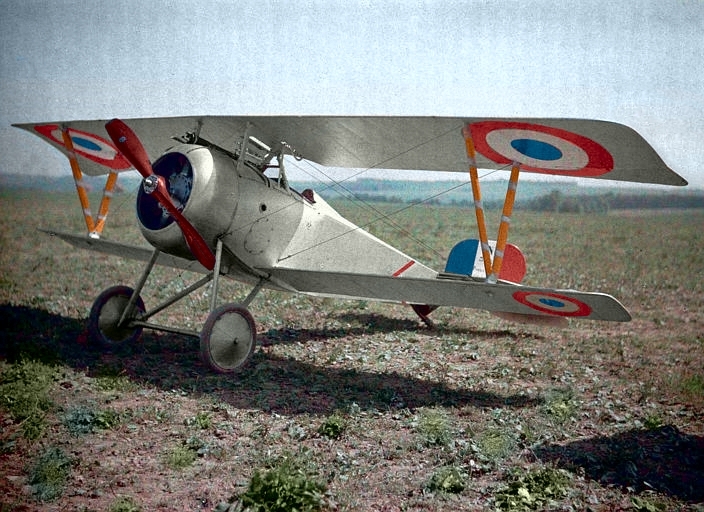 For a time the Nieuport 17 equipped every French fighter squadron. Luckily, given its ubiquity, it was an outstanding aircraft and was markedly superior to any enemy aircraft. The Germans paid the Nieuport the ultimate compliment by producing a direct copy which entered operational service as the Siemens-Schuckert D.1. 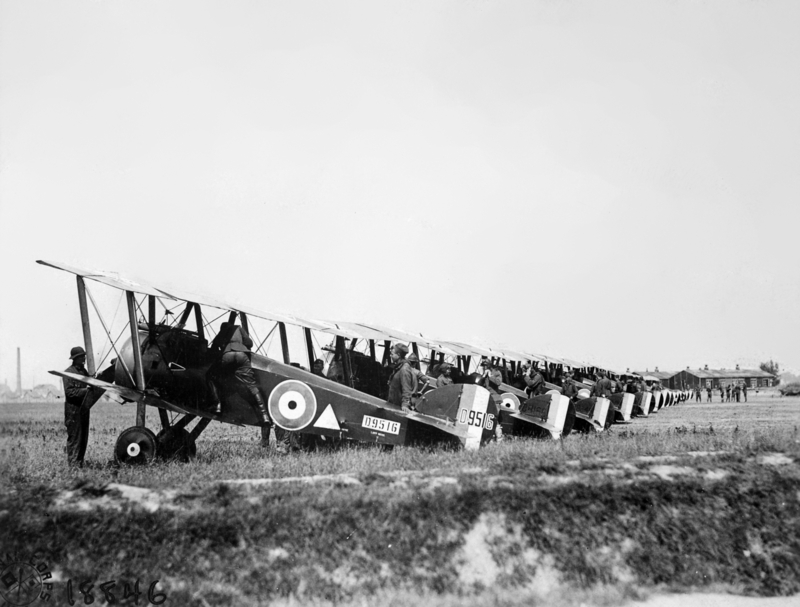 Eventually surpassed by aircraft of greater power and strength, the Nieuport lingered in frontline British service into early 1918 and even then some of the more influential pilots retained one for personal use, notably Albert Ball and Charles Nungesser. Virtually all Allied aces scored at least some of their kills on the type. Top scorer: Donald Maclaren, 54 kills on type, 54 total. It shouldn’t be left out of any list of the ‘greatest’ biplanes but the Camel was in many ways an extremely bad aircraft. It was a dead end technologically, obsolete by the armistice and already being relegated to ground-attack in frontline squadrons. Furthermore it was famously difficult to fly, a vicious stall led invariably to a dangerously tight spin and the torque of the spinning engine was very nearly beyond the ability of its rudder to correct. Add to this the ludicrously difficult engine management techniques required to keep the rotary engine running and it becomes less surprising that at least 385 Camel pilots lost their lives in non-combat related accidents (including my Great Grandmother’s fiance). However, these terrifying handling qualities conferred upon the Camel exceptional manoeuvrability, it may well have been the most manoeuvrable fighter of all time, and in a turning fight the Camel was untouchable. The statistics bear this out, Camels accounted for 1294 victories, more than any other fighter type of the war. Its rival the SE5a was in virtually every respect a better aircraft but the Camel seemed to capture the wider imagination, possibly due to Biggles and of course the type’s most famous pilot, Snoopy. Top scorer: Erich Löwenhardt, 34 kills on type, 54 total. Generally considered the best fighter of the Great War, the Fokker D.VII was a harbinger of the future. It wasn’t the fastest, most manoeuvrable or best climbing aircraft to see service but it offered the best combination of all these facets in one airframe coupled to a markedly fine altitude performance, allowing it to operate above its enemies and secure the initiative in combat. Perhaps most importantly, despite its excellent performance it was also very easy and forgiving to fly, possessed of a very gentle stall, and could be flown to the limits of its performance with impunity, unlike the Albatros D.V it generally replaced which had problematic tendency to shed its wings in a dive (it is not coincidence that the Germans were the first to introduce parachutes for their fighter pilots). A massive production programme meant that despite entering service as late as May 1918, some 3300 had been built by the end of hostilities in November. Famously singled out to be handed over to the Allies as a condition of the armistice terms the D.VII re-entered production in the Netherlands and ultimately served in the air arms of 19 nations, in some cases well into the 1930s. Curiously both wings of the Fokker were cantilever units, virtually unheard of at the time, the wing struts were added only to prevent vibration. The D.VII could therefore be considered two monoplanes bolted to the same fuselage. 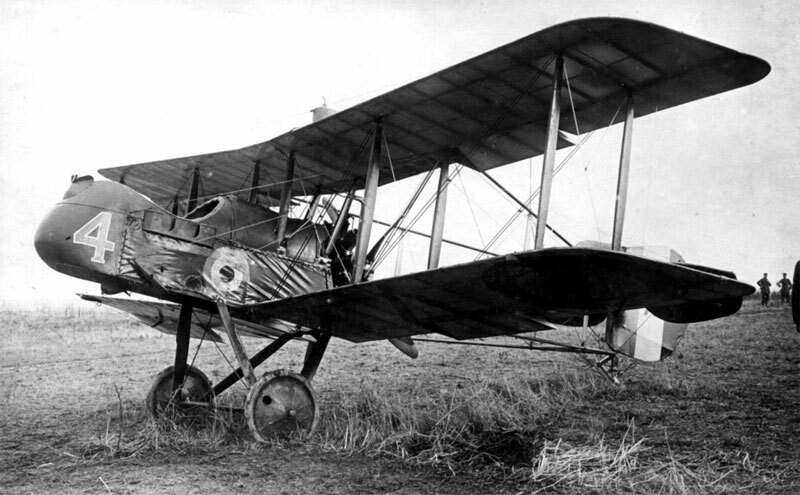 As such, despite being a biplane, it included an early example of the technology that would ultimately doom the two-winged fighter to obsolescence. The CR.32 and its great rival the I-15 were the main aggressors in the last major conflict in which biplane fighters could still be regarded as the finest combat aircraft in the world. Even then, their time at the top was relatively brief and they were supplanted by the (monoplane) Fiat G.50 and I-16 respectively. The Fiat was the pinnacle of a line of excellent fighters designed by Celestino Rosatelli for a flamboyantly confident Italian air force. Oddly, both the Fiat and its Polikarpov nemesis fought as part of the Chinese air force against Japan. In China the CR.32 was found to be superior to both the Curtiss Hawk and Boeing P-26 but operational use there was relatively limited due to the scarcity of its fuel (its 600 hp Fiat A30 engine required a heady cocktail of alcohol, benzole and petrol to work properly) and other, less picky fighters came to the fore. Meanwhile, over Spain, Fiat flew the flag for Fascism against the Communist upstart I-15, its one major advantage over the Soviet aircraft being its heavier armament. Spain would prove to be its finest hour, it was capable of destroying the Tupolev SB-2 bombers that were thought uninterceptable due to their speed – indeed Spain saw the unusual situation that both sides possessed monoplane bombers that were faster than their respectivebiplane fighters, a situation that hastened their replacement by speedier monoplanes. Top scorer: Leopoldo Morquillas Rubio, 21 kills on type, 21 total. Compared to the decidedly elegant CR.32, the I-15 looks like it has been driven into a wall. 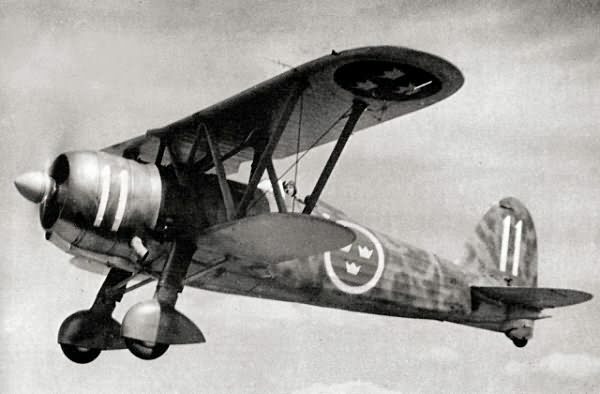 However looks can be deceiving and the gull-winged Polikarpov was one of the few aircraft in the world capable of meeting the CR.32 on roughly even terms. Slightly slower, the pugnacious I-15 was more manoeuvrable – but not by much. Individual combat, if neither aircraft had a height advantage, would be decided by piloting skill. By contrast, Germany’s best fighter of the time, the Heinkel He 51 was completely outclassed by the Polikarpov. To be fair they caught up rather quickly. Designed by Nikolai Polikarpov in ebullient mood having just been released from jail, the I-15 was conventional but brought Soviet fighter design up to contemporary world standards where it remained until the Soviet Union’s ultimate demise. Weirdly nicknamed ‘Curtiss’ by the Nationalists for reasons unclear to anyone, and more accurately ‘Chato’ (Flatnose) by the Republicans who operated it, the I-15 was the premier fighter of the Republicans until its eclipse by the I-16. Speed, dive and climb were becoming the most important attributes of the fighter and the incredible manoeuvrability of the I-15 was, by the end of its career, little more than an irrelevance. But for a year or two the chunky Polikarpov was demonstrably one of the two best fighters in the world bar none. Top scorer: Kosuke Kawahara, 8 kills on type, 8 total. Virtually unknown today, the Kawasaki Ki-10, codenamed ‘Perry’ during World War II, established an air superiority over China that would last years, gave the Japanese their first air aces, and firmly founded the near-pathological Japanese obsession with manoeuvrability above all other fighter attributes that would ultimately lead to the exceptional A6M Zero. It is also the only aircraft on this list from whose manufacturer you can buy a brand new motorcycle (if you wish). 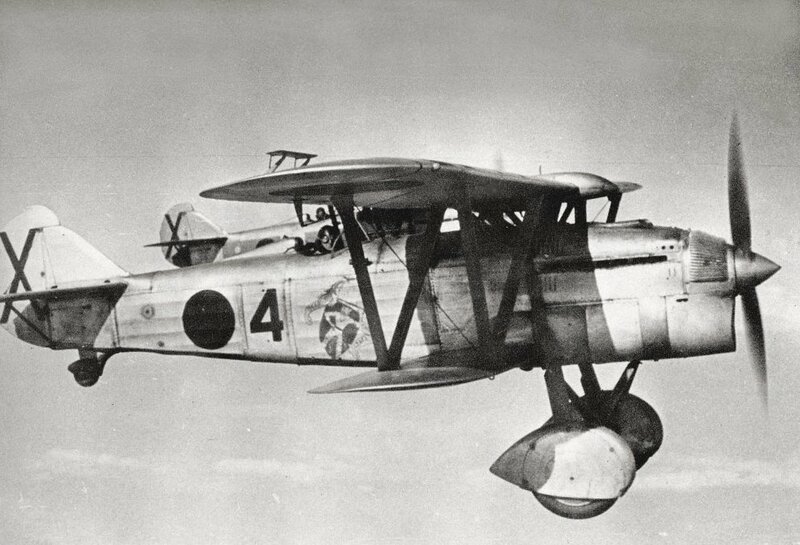 Interestingly the Ki-10 was judged superior to a monoplane (the Nakajima Ki-11) competing for the same order. This would be the last time a fighter biplane would be selected in preference to a rival monoplane. Top scorer: Marmaduke Pattle, 15 kills on type, at least 40 total. Obviously everyone knows everything already about the Gloster Gladiator don’t they? So, what nationality was the first pilot to score a kill in a Gladiator? That’s right: American. 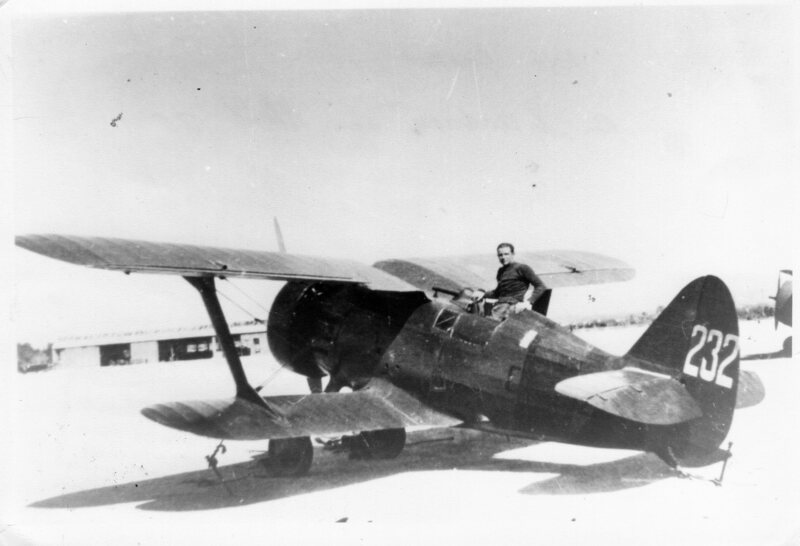 John ‘Buffalo’ Wong flying in the Chinese air force in 1938 shot down a Mitsubishi A5M, long before the ‘Flying Tigers’ had even been thought of. This kind of cosmopolitanism is typical of Britain’s last fighting biplane as the Gladiator was little more than a convenient stop-gap to keep up the numbers until the Hurricane and Spitfire came on stream in sufficient quantity and was thus released for export at a fairly early date. 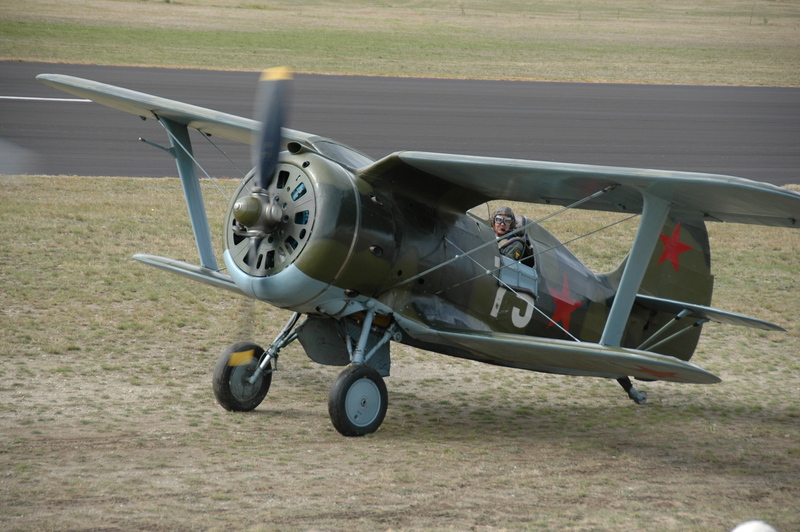 Curiously the Gladiator pops up in an unusual number of unequal conflicts far from its home where it was forced to operate (invariably heroically and to great propaganda value) in the face of numeric and technological superiority – thus conveniently mirroring the general experience of the biplane fighter in World War II. Flying for the Chinese against the Japanese, with the Finns against the Soviets, the Belgians against the Luftwaffe and, most famously, with the RAF against the Italians over Malta the Gladiator stoically defied the odds. More prosaically, when operated in numbers against a similarly equipped enemy it performed excellently and a similar situation to the CR.32/I-15 situation in Spain developed over Africa, where it clashed regularly with the Fiat CR.42, which, though slightly faster, did not handle as well as the Gloster. 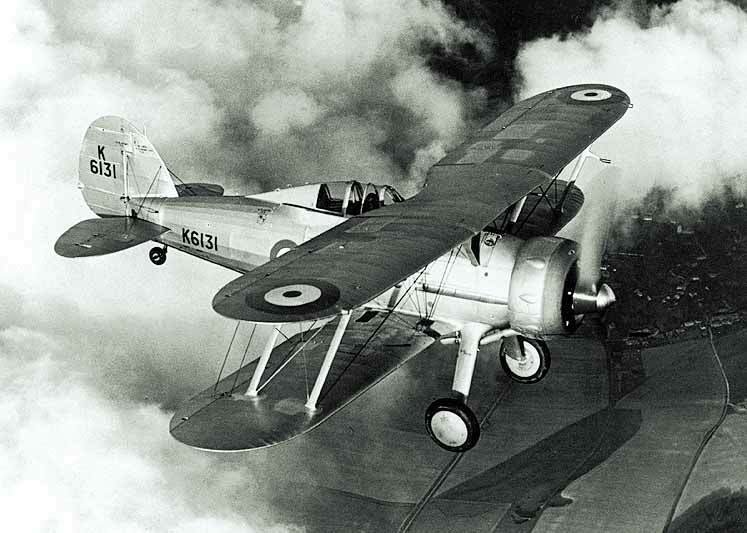 Despite being the RAF’s last biplane fighter it was also that service’s first fighter to sport an enclosed cockpit, there are not many aircraft that were simultaneously in the vanguard of development whilst totally obsolete. Top scorer: Mario Visintini, 17 kills on type, 19 total. 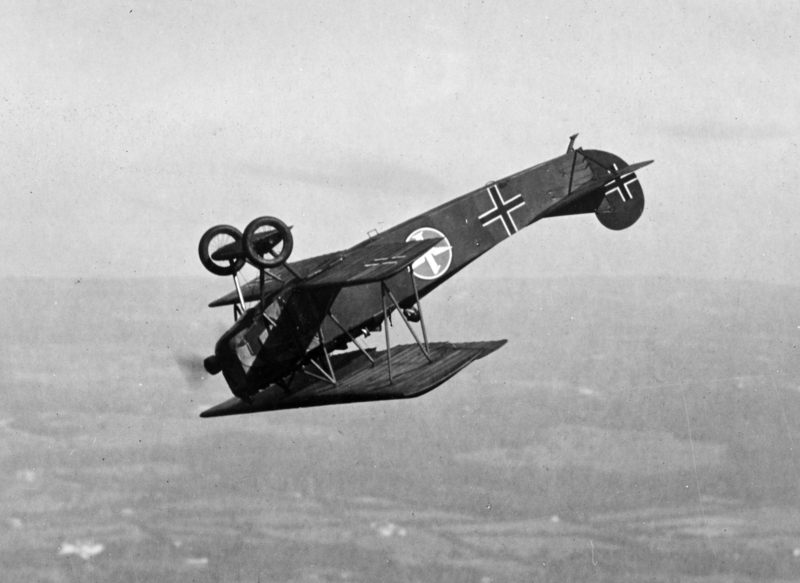 The Italians, based on misleading combat reports from Spain, believed that the fighting biplane with its undeniable advantage in manoeuvrability still had a place in the modern air force, and they had the dubious honour of being the last nation to bring a biplane fighter into service. That aircraft was the Falco, at first glance a chubbier version of the CR.32. Undeniably a fine aircraft, it had the misfortune to appear into a world full of monoplanes it couldn’t catch. However, world air forces are a conservative bunch and the new Fiat biplane met with ready acceptance on the export market. In Hungarian service it established an impressive 12 to 1 kill/loss ratio against the Soviet Union, whereas in Sweden and Belgium it flew alongside its arch-foe the Gladiator. With the Italians over Greece and Africa the Fiat was well able to deal with the types initially fielded against it such as the Blenheim and Wellesley and whilst it was on a par with the Gladiator, when newer types such as the Hurricane appeared the CR.42 found itself struggling. The CR.42 may well have scored the last biplane kill, in 1945 a ground-attack Falco in service with the Luftwaffe reported attacking a P-38, which did not in fact return to base. The kill remains unconfirmed. Despite its conceptual obsolescence, the CR.42 was built in greater numbers than any other Italian fighter and as a final fling, Fiat fitted a Daimler Benz DB.601 to the CR.42. The resultant CR.42B achieved 323 mph, making it the fastest biplanefighter ever built by some considerable margin. It did not enter production as by then even the Italians realised that the future lay with a single wing. In 1942 production of the CR.42 finally ended and the last fighter biplane to be produced anywhere rolled out of the factory and into history. Top scorer: Aleksander Avdeyev, 12 kills on type, 13 total. The Polikarpov I-153 generally did not fare well in combat but its inclusion here is justified not only as it took biplane performance to the furthest limits (at 280 mph it was the fastest biplane to see service) but also due to the fact that, obsolescence notwithstanding, on one occasion it replaced the seemingly superior I-16 monoplane on operations. The I-153 was good enough that even in a monoplane infested world it amazingly persisted in frontline service until 1945. Given that the Soviet Union were the first nation to introduce a modern monoplane fighter into their inventory as early as 1934, it seems odd that they should persist with the biplane but Soviet tactical thinking foresaw a tidy combat situation wherein monoplane fighters would break up a force of incoming bombers, then the I-153s would deal with them, and any pesky escorts, individually. In reality this simply didn’t work. Nonetheless 3437 were built and were heavily used, mostly in a desperate rearguard action against the invading Germans in 1941. However, back in 1939, the brand new I-153 was rushed to the Mongolian front to replace the I-16 monoplane. The Japanese were fielding the Nakajima Ki-27 which possessed the sparkling agility to outmanoeuvre the faster I-16. The I-153 offered near-parity in performance and manoeuvrability terms and combat performance against the Ki-27 improved. Interestingly the I-153 is also one of a handful of fighters to fight itself; in March 1943 two Soviet I-153s clashed with three Finnish I-153s, damaging one in the ensuing mêlée and forcing it to land. The Finns, never ones to ignore a decent aircraft, operated about a dozen captured I-153s against their former owners until February 1945 by which time the eight survivors were the last biplane fighters flying on operations anywhere in the world. SPAD XIII, the best allies fighter plane. René Fonck, the best allies fighter pilot, with 75 kills. Based on fame, I think I would have to agree, the Spad XIII and the SE5a should have been included on the list instead of some of those from the 1930s and 40s. This is especually Ironic because the Spad, though a biplane essentially wrote the recipe of what would constitute a good fighter in WWII… Fast, dove well, could zoom climb, but not that good of a turner. What’s the story on the lead photo? Apparently from a film? The I-153 photo is funny – seems “Chaika” prefer grass strip rather than paved runway. The D VII helped make Hermann Goering a fighter ace. Interesting list. While I would have put the SE.5 in ahead of the Camel, I was surprised that the Spad S.VII didn’t make the list. To those who would put the SE5A ahead of the camel, there is this; The Camel was used to shoot down nearly 1300 enemy a/c, more than any other ‘Allied’ fighter. But, on the flip side, it may well have killed more of it’s pilots than any other fighter. * All rotaries had this but the Camel was perhaps worse than most. That’s just an opinion based upon much reading. I cannot support the statement. Since the torque effect increased with the power output, it was a limiting factor for this engine type. One German firm attempted to counter by making the prop rotate counter to the engine cylinders & crankcase. It was successful on the Sieman Schuckert but they could not be produced in significant numbers nor in time to do the Germans any good.